Fire in medieval days destroyed large areas of ancient buildings in most historical centers of UK and European cities, same as the great fire of London which burn down most of the city in 1666. Nevertheless, fires also promoted progress in building design. After a great fire or natural disaster many towns and cities have been rebuilt in a more modern style. 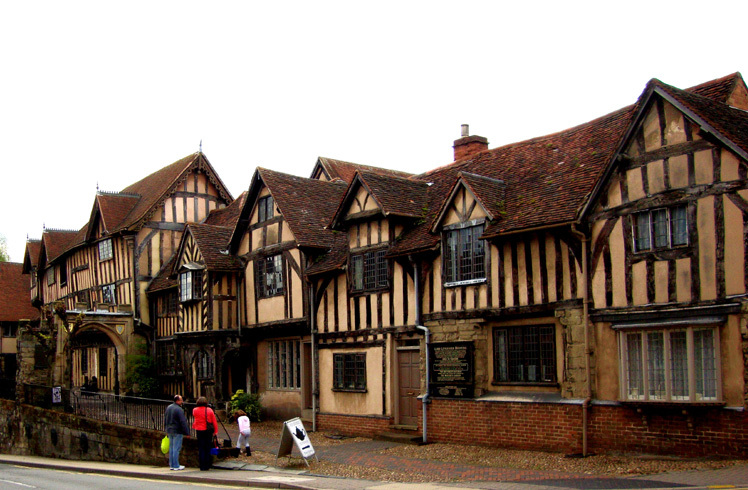 The town of Warwick on the river Avon has been constantly inhabited since the 6th century and was partially burned down in 1694. After the industrial revolution, in the 19th century, Warwick had not changed a lot like many other cities in England but kept that medieval look partly because of it’s location away from important highways. 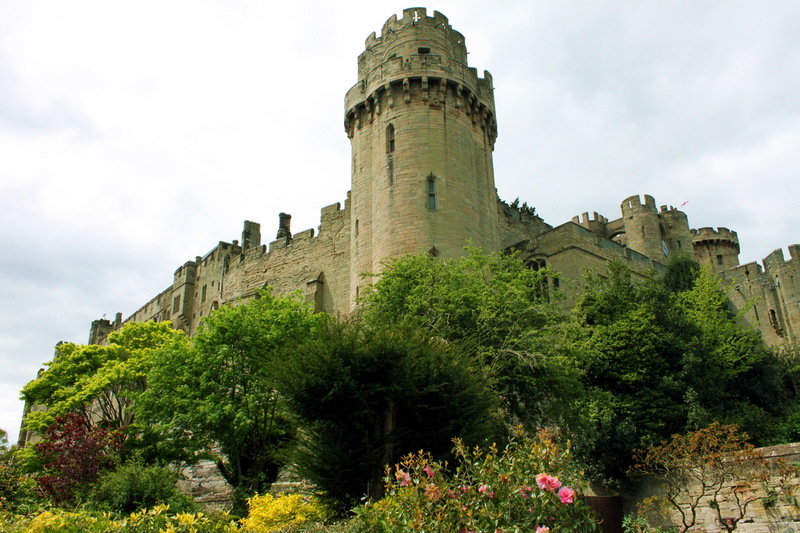 Today, the main attraction in Warwick is the Castle. It was erected in 914 and was first used as an Anglo- Saxon fortress to protect England against attacks from the Vikings. In 1068 William the Conqueror rebuilt castle to maintain control over the center of England while he advanced to the north. 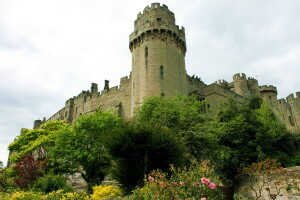 Henry de Beaumont, the son of a powerful Norman family was made constable of the castle and eventually became the first Earl of Warwick in 1088. 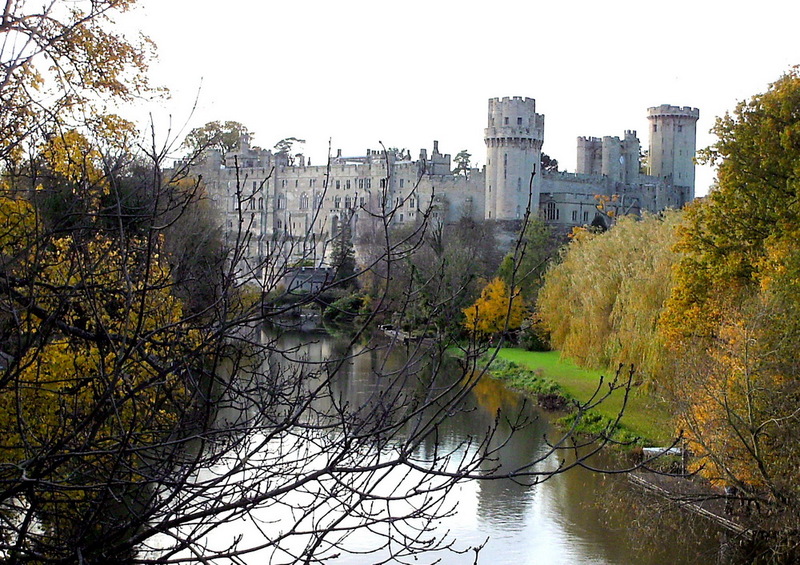 In 1978 The Merlin Entertainments Group bought it from the Greville family who were the last owners of Warwick castle since 1759 and turned it into a tourist attraction. Originally, a wooden fortress, it was rebuilt in stone in 1260. 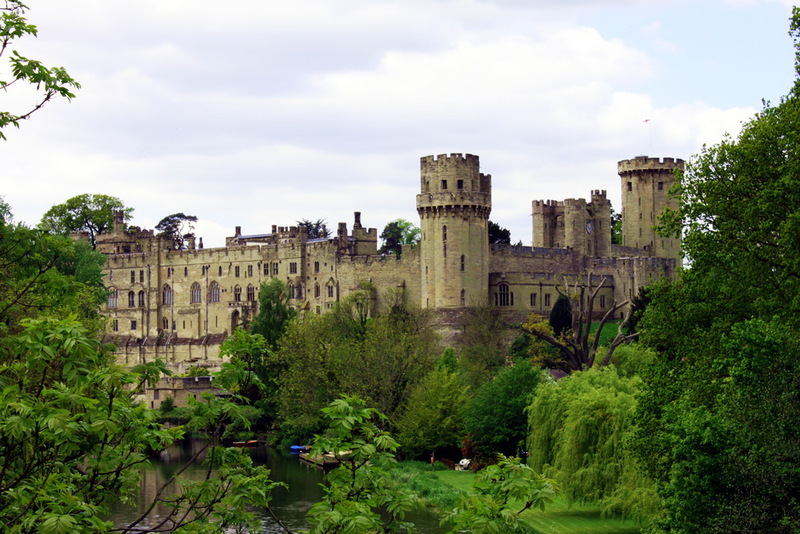 During the Hundred Years War a new defensive wall with towers was built, making the castle one of the best examples of military architecture of the 14th century. 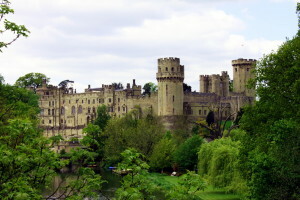 Warwick castle is now listed in the Schedule of Ancient Monuments and other important buildings, such as Buckingham Palace and Westminster. During it’s one thousand year old history, the castle have been used as a protective fortress, a country residence, a compound for war prisoners and today organized entertainments are held there frequently, like the “Flight of the Eagles” bird shows, medieval knights tournaments and ancient military competitions. In the grounds of the castle there is the biggest catapult ever built in the world made from an ancient oak tree, it is 18 meters high and weighs 22 tons. In 2006 a record was established when it catapulted a shell weighing13 kg, 249 meters. It is a known fact that ghosts love living in old buildings like ancient ruins, palaces, and castles. Sometimes you can even hear or read actual accounts about ghosts as told by eye witnesses. You can see a very realistic show called “Warwick Ghosts Alive“, it tells the ghostly story of Fulke Greville one of the castle owners who was murdered in one of the towers by his servant. There is also a Tower of Ghosts where the ghost of a little girl lives. In the same tower in one of the bedrooms Daisy Greville, the countess Warwick, carried out spiritualist sessions. She was probably attempting to help release these souls from our materialistic world. Psychiatrists strongly advise not to dabble in any spiritualistic games as it is dangerous to mental health, especially if the person mentally unstable. 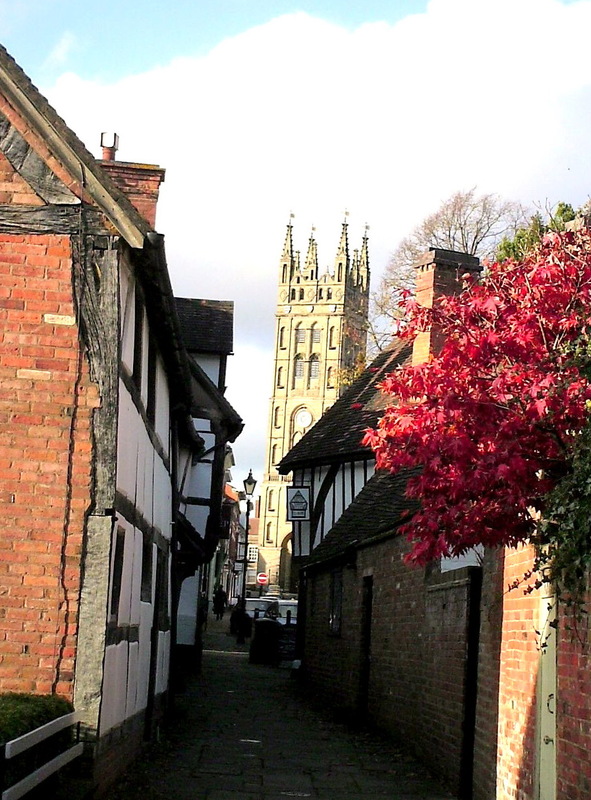 It’s worth wondering along the medieval streets of the town and to enjoy the rare and attractive antiquity of the lovely houses. 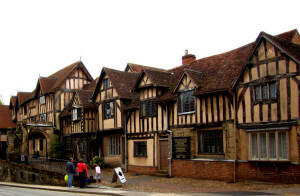 One important historical building in Warwick is the Lord Leicester Hospital, situated next to the last remains of the ancient wall called the western gate. 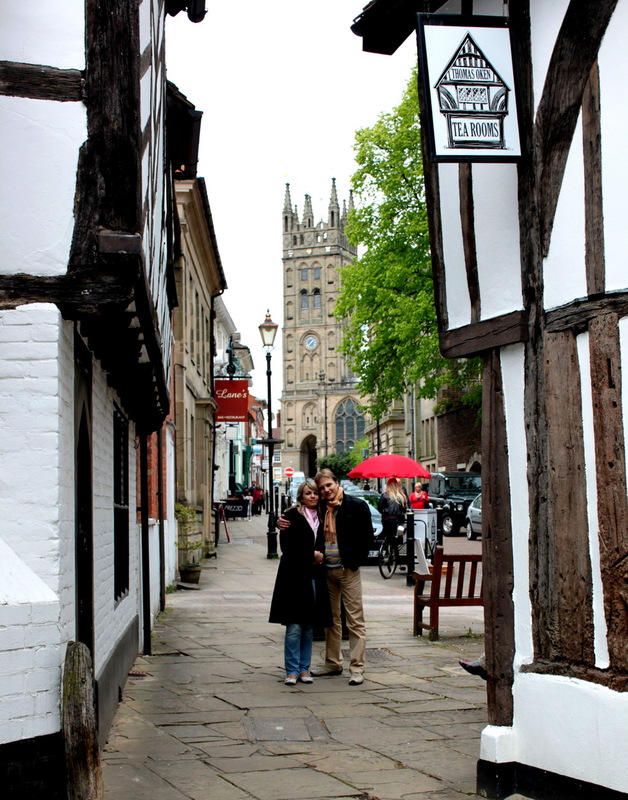 In 1571 Lord Leicester bought the Chapel of St. James built in 1126 and opened the hospital. Actually, it was not a medical institution but a refuge for elderly and wounded soldiers and their wives. The building was restored in 1966 and still carries out the same mission it has done for more than four hundred years. 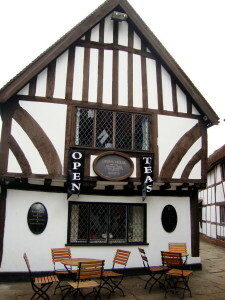 The hospital is open for visitors and when carrying out certain ceremonies. As usual in any tourist the town, there are lots of cosy traditional English tea rooms where you can forget about time and dream of bygone days. 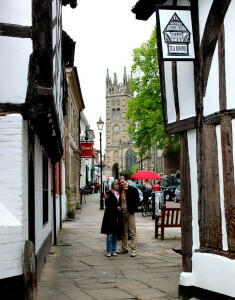 This entry was posted in History&Towns&Castles&Palaces&Museums and tagged Medieval Warwick. Bookmark the permalink.